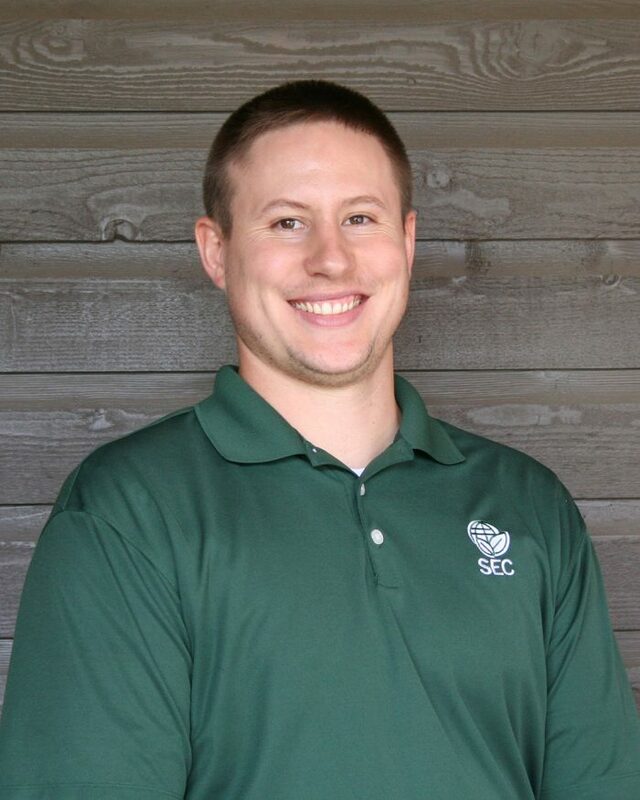 Zack is a biological systems engineer for Sustainable Environmental Consultants and is responsible for facility design work utilizing his AutoCAD Civil 3D skills, overnight water balance testing, and nutrient management planning. He also ensures clients comply with local, state, and federal environmental regulations. Growing up on his family’s farm, he is able to blend his love of agriculture, specifically livestock, with his passion for engineering and put that to work for SEC clients. He started his career as an intern for SEC, transitioning to part-time while finishing his degree, and then joined the team full-time in 2014. SEC allows him the opportunity to stay connected to his agricultural roots. He knows that costs and regulatory statues are some of the key challenges SEC clients face and believes that SEC’s work fills a need while helping to protect and improve the environment. Zack holds a bachelor’s degree in biological and agricultural engineering with an emphasis in machinery systems from Kansas State University. He is working toward achieving his professional engineer certification. He has been a member of the American Society of Agricultural and Biological Engineers since 2013. In his spare time, he enjoys spending time with his family, woodworking, fishing, and working on his family’s farm.